Many condominium owners face financial uncertainty or job loss. This sometimes results in owners who fail to pay their common charges and also fail to pay late fees. Condominium associations, particularly small ones, depend on common charges in order to operate. If multiple units fall into arrears in a larger association, this can present a substantial problem for the operations of the association. If you are an association having trouble collecting condominium common charges and late fees, you have important statutory powers that you should be aware of. At Pulgini & Norton, our real estate lawyers can advise associations in Boston and the surrounding cities on their statutory rights and how to exercise them to avoid falling into disrepair. We can also advise unit owners threatened with the consequences of failing to pay common charges or late fees. Unpaid condominium common charges are a common issue facing condominium associations. All associations should have a written procedure describing how common charges are to be paid, whether there is a grace period, and how late fees will be assessed. The procedures should also specify what the consequences of failing to pay common charges and late fees are. Each unit owner should have a copy of the written procedures. If the condominium association faces unpaid common charges and is unable to collect late fees from a number of unit owners, the property may fall into disrepair, and the value of the property may be significantly reduced. 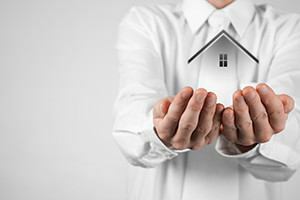 In addition to threatening the financial stability of the condominium, if there is a high delinquency rate, it may violate the FHA and Fannie Mae/Freddie Mac lending guidelines, which can result in units not being able to be sold. Massachusetts law provides protection against this occurrence by spelling out a "super-lien" process for associations to follow when dealing with delinquent fees and charges. Under Massachusetts General Law 183A section 6(c), the outstanding condominium fees are treated as a lien against a delinquent unit from the date they become due. A delinquent owner incurs personal liability for delinquent common charges, as well as late fees, fines, interest, and the costs of collection. Moreover, if the condominium fee lien is properly filed, it has a "super-priority" over any non-municipal liens, including the first mortgage on the unit, for up to six months of fees, collection costs, and attorneys' fees. The lien is not discharged in bankruptcy. To perfect the super-lien, the association needs to send 60-day and 30-day notices before commencing suit. The association can sue to perfect the super-lien and then foreclose on the unit to satisfy the overdue charges and fees. The statute protects only those fees that are due in the six months before the foreclosure lawsuit. Often, lenders choose to pay the delinquent fees for the unit owner so that their mortgage retains priority. A mortgage lender can put the amount it paid onto the balance of the mortgage. If you are concerned about common charges and late fees, or considering a condominium conversion in the Boston area, the attorneys at Pulgini & Norton can assist you. We offer experienced legal representation and thorough advice. We also represent clients in Hyde Park, Weymouth, Braintree, and other cities in Massachusetts. Call us at 781-843-2200 or contact us via our online form for a free consultation.